Alright so I’ve covered the uniform command center, the throwing away and organizing of papers, and the filing and deleting of emails. Today’s post is all about staying on top of scheduling and saying, “No!” as well as a little review of the Google Calendar vs. the Erin Condren Life Planner. I know it sounds like a lot, but we can do this! How do I stay on top of scheduling? Well, this is totally a pride thing, but I’ll say it anyway: I don’t wanna be the crazy lady will all the kids who always forgets stuff. Or kids. I also don’t want to my children to experience feeling panicked or sad because I left them somewhere, so maybe it’s not all pride. 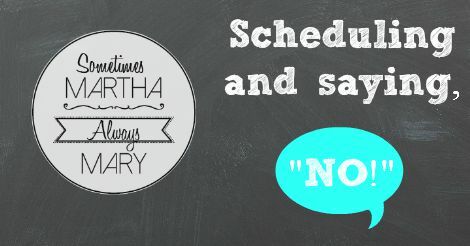 Scheduling isn’t just about pick up times and drop off times and helping our kids keep track of when a project is due. For me, as the manager of our home and everyone’s schedules, I have the ability to buffer my family from over scheduling. This is where saying NO! comes in. The children do not attend birthday parties that are held on Sundays. I don’t show them a party invitation unless they are going. The first rule may sound a little harsh, and it was difficult to enforce at first, but now they just know. We spend Sundays together as a family. My prayer is that this will carry into their teenage years. We’ll see! The second rule is just to prevent a struggle. It’s difficult to look into my children’s big beautiful eyes and tell them they aren’t able to attend a laser tag party or go to a painting cafe. 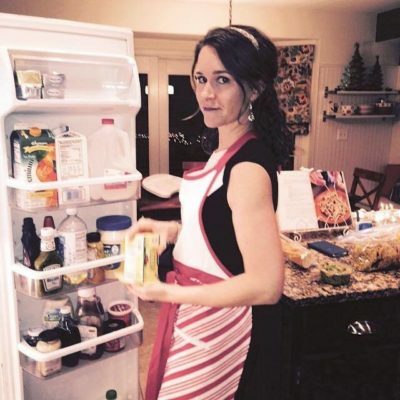 But Mom knows best, and sometimes that means that bending over backwards to get a child to and from a birthday party is just going to cause the family overall too much stress. We also say NO! to too many extra-curricular activities. This is so very difficult, especially when there are so many good things out there to expose our children to and get them involved in. For example, Dimples goes to Irish Dance School two nights a week. Around St. Paddy’s Day, she performs in shows all over Northern Virginia. This year, she is old enough to sing in the school choir. She’ll practice one day a week after school and will sing at school Mass each week. In the winter she will participate in CYO basketball which means one or two practices a week and a game on Saturdays. All of those activities and this is us saying NO!? No, she can’t do Girls on the Run once a week. And NO! she can’t do American Heritage Girls. NO! horse back riding unless you want to give up dance. And what about piano lessons? For now, NO! It’s difficult to be the bearer of bad news, most especially to your child, but what I’m discovering over time is that it is so very good for them. When we tell our children NO! we’re really teaching them how to take care of themselves. We’re also teaching them about budgeting and temperance. When we say NO! to our kids, they’re not hearing, “Mom and Dad don’t love me.” They may not know it, but deep down, in their heart of hearts, they are hearing, “Mom and Dad care about me and want what’s best for me.” In the end what the whole family gets out of parents who say NO! are children who have more time to be kids at home. When I look back on my childhood, the memories I hold dear are the ones spent with my family. Off the soap box. On to calendars. This is the fun part! 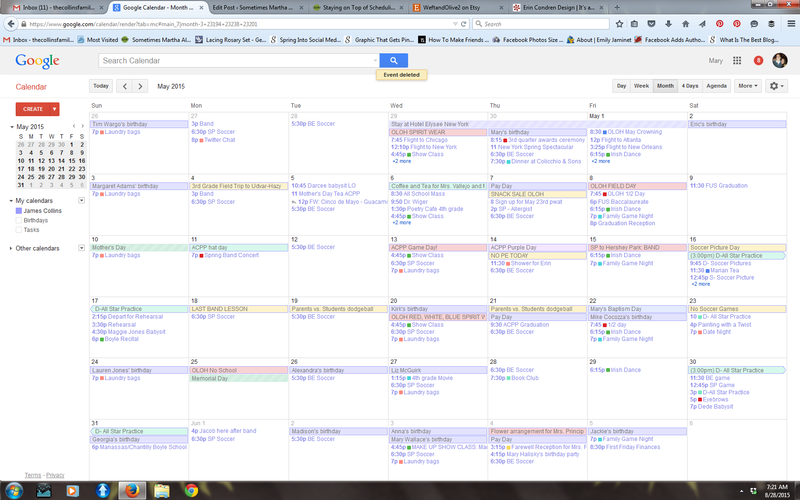 Google Calendar is the only way to go. At least, that’s what I was preaching until I fell in love with Erin Condren. Let me break it down for you. There really is no comparing these two methods of keeping track of your family’s schedule. One is for the person who doesn’t want to write anything down and needs their phone to remind them that it’s time to leave for the orthodontist appointment. The other is for the person who wants it all down on paper. I liked Google Calendar for the alerts, but I love Erin Condren for the pretty. Google Calendar was just that: a calendar. 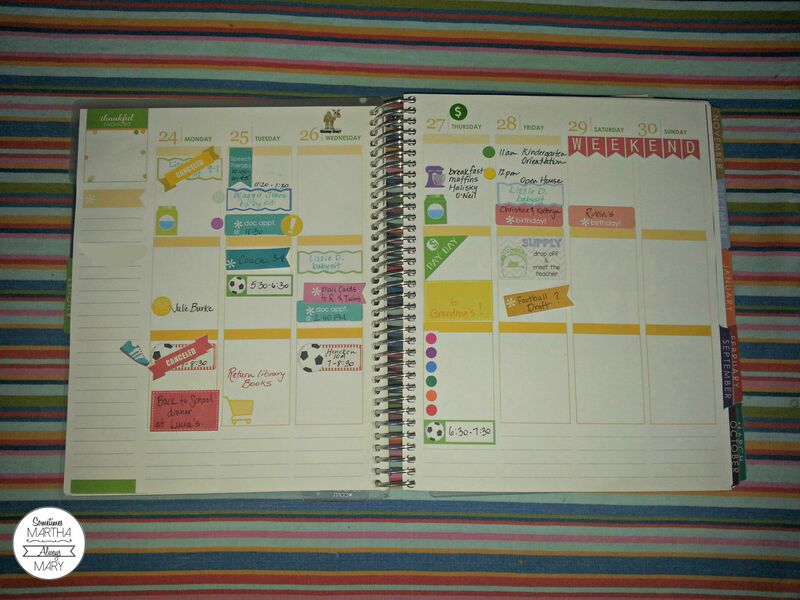 The Erin Condren Life Planner is just that: a planner that helps you organize your life. Oh you should see all the Etsy Shops that sell stickers for your Life Planner! Two of my favorites are Lily Grove Designs and Weft and Olive 2. Come back tomorrow and hear all about how we manage homework time, play time, dinner time, and snacking in the after school hours! 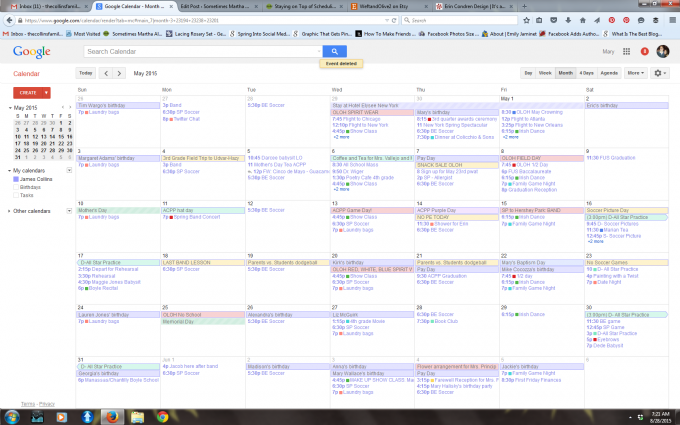 I use both Google Calendar and a paper planner, The Catholic Daily Planner. I use Google because my husband, daughter and I can share and sync the calendar, plus the alerts are nice. I have it set go off as a notification on my phone one hour before and as an email one day before. I use the paper because it’s pretty and the actual act of writing helps me remember better. 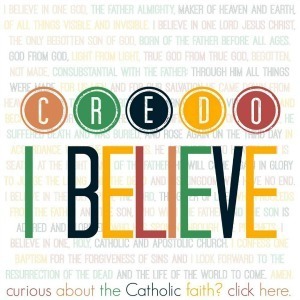 I had a Catholic Daily Planner once and really liked it. I have a feeling once the kids are a bit older, I’ll have a paper planner and utilize Google as well. And a bunch of my friends on Facebook have been telling me about the Cozi App. Good stuff! That’s wonderful news, Bridget! I am so happy that you are able to send your children to public school and keep the faith. I have many friends here who do the same and I admire them greatly. So I admire you too! Let me know how you like the stickers once they arrive! I say you’re never too old to have stickers. 🙂 God bless your school year! Hi, Love my EC planner, and I also use Google Calendar, and the Calenmob app since it syncs my iCal too. Any leads on finding “Catholic” stickers for feasts and such for the EC planner? Chrissy, I bet we could find someone on Etsy who could make something for us. I requested a custom order from Skylar’s Stickers and she did a great job! I’ll reach out to her and see what she says. We could ask for crowns for Marian Feast Days, any other ideas? That would be awesome! I don’t have the EC planner but have still bought some stickers to use for mine. 🙂 I did a quick search on Etsy and found one seller that had a Lent set but that was it. I am all about the NO! I can’t have a big family and then try to live like a family that has two and has more time and maybe more money. 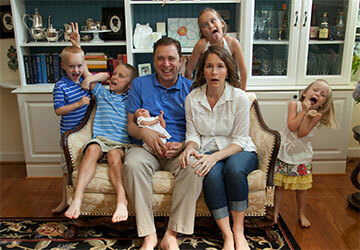 My kids aren’t exposed to as much as other families, but we’re sane. They have lots of creative play time which works for us since they are so close in age. Another majorly helpful thing for me is that my money has to go to allergen-free food, which is so expensive. If I had more money, I would be crazy Mama trying to drive everywhere! Way to go, JoEllen! It’s good to hear we’re not alone in this motherhood thing, isn’t it?